Department of Corrections Director Robert Patton’s quitting to take a job with a private prison company that contracts with his agency is raising questions about whether the move violates state law. 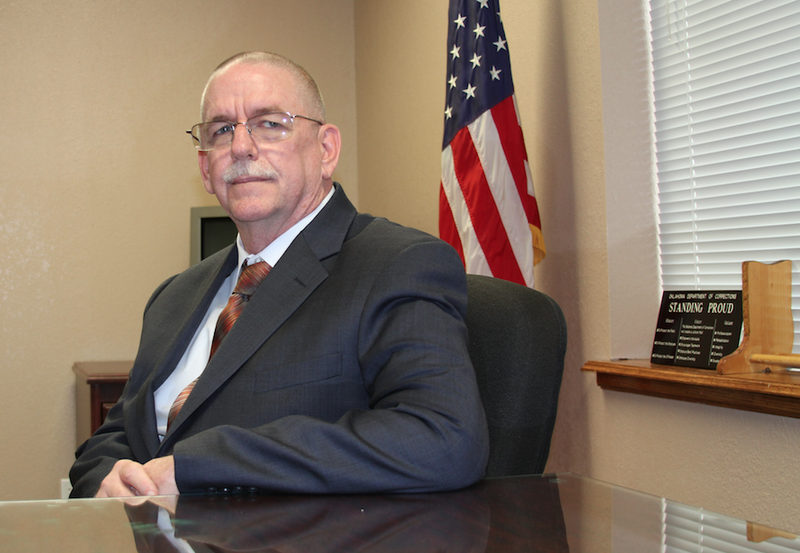 Patton announced earlier this month that he would step down as Corrections Department director to become deputy warden at a private prison in Kingman, Ariz., which Geo Group took over as operator on Dec. 1. Patton, who worked in the Arizona prison system before being hired as Oklahoma corrections director in early 2014, said he wanted to be closer to his family. His resignation is effective Jan. 31, but he will take accrued leave starting Christmas Day. Under an Oklahoma conflict-of-interest law, any state officer or employee who exercises discretionary or decision-making authority in awarding a state privatization contract cannot be employed by the contracted company for one year after the contract award date. The penalty for violating the law is to prohibit the company from contracting with the state agency for a year after the violation occurred. In September, the state Board of Corrections renewed and amended a contract with Florida-based Geo Group, which owns the Lawton Correctional Facility. The amended contract increased by 100 the number of private prison beds leased to the state by Geo Group. More than 2,600 inmates in minimum, medium and maximum security levels are incarcerated at the Lawton facility. Patton signed the contract, dated Oct. 1, 2015. Rep. Mark McCullough, R-Sapulpa, who was the principal House author of a 2009 bill specifying a penalty for the conflict law, said he hopes the issue will be investigated to determine whether the arrangement violates state law. Corrections Department spokeswoman Terri Watkins said Patton’s acceptance of the Geo Group job in Arizona would not violate state law because the Oklahoma Board of Corrections approved the contract. Patton also did not play a role in negotiating, reviewing or approving the contract, she said. Corrections Department policy also requires negotiations with private prisons to be done by the department’s western division director and general counsel. However, according to corrections board minutes from July 9, Patton said he was involved in conversations with private prison groups about expanding their current contracts. Patton declined a request for an interview. When asked about the meeting minutes and Patton’s signature on the contract, Watkins reiterated that the director has no control over contract negotiations or approval. 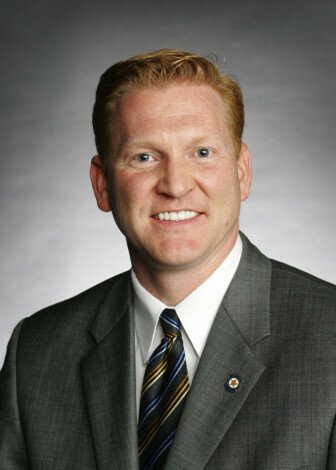 In response to Oklahoma Watch’s questions, Geo Group issued a statement praising Patton’s experience and saying he would be a valuable asset in the company’s takeover of the Arizona prison’s operations. A company spokesman declined to answer questions about the employment arrangement with Patton. When asked whether the arrangement violated Oklahoma law, the company said the corrections board approves contracts. The conflict-of-interest law was passed by the Legislature in 1999, but a penalty provision was stripped from the bill prior to its passage, said Trish Frazier, policy director for the Oklahoma Public Employees Association, a strong backer of the bill. The employees association also supported the 2009 bill, passed and signed by Gov. Brad Henry, that added the 1-year contract suspension penalty into the law. McCullough said his bill was one of several “good government” bills that year and the intention was to give the law teeth. “That’s kind of the whole point of it, so there won’t be a revolving door,” McCullough said. Frazier said she did not know whether Patton’s move to the Geo Group facility violated the law. McCullough said the move does appear to at least violate the spirit of the law. Enforcement of a penalty would likely fall to the Oklahoma Office of Management and Enterprise Services or the Attorney General’s Office. “It seems like the clear intent of the bill is to keep directors from immediately going and working for entities who are contracting with the entity over which they had supervisory capacity in approving these contracts,” McCullough said. McCullough said the law is intended to ensure arms-length transactions when using taxpayer money. Gov. Mary Fallin’s office referred questions about whether the move would violate the law to Attorney General Scott Pruitt’s office, which referred questions about the issue to the state Corrections Department. Patton’s term as director has been controversial, mainly because of the botched execution of Clayton Lockett in April 2014 and the last-minute stopping of the execution of Richard Glossip in September 2015 because a wrong execution drug was about to be used. The Oklahoman later reported that the same wrong drug was used in the execution of Charles Warner in January this year. In October, Patton testified before a multi-county grand jury about the Glossip incident. An interim director will be named after Patton’s departure, and the Board of Corrections will immediately launch a national search to fill the position, according to the Corrections Department.